Owls are really unique and unusual species in the bird kingdom. They have the more rounded face than other species, their feathers help them form flatter and have huge eyes that demand our attention. For some, owls may be scary and dangerous birds, but when you would complete this post, you may have some other perspectives about them. 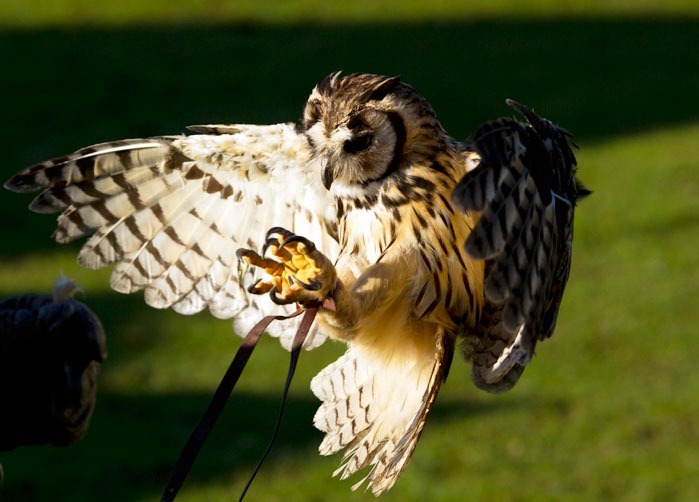 You might think it would be entertaining owning an owl as a pet, but still, there are some who bears great understanding of what it takes to care for one. 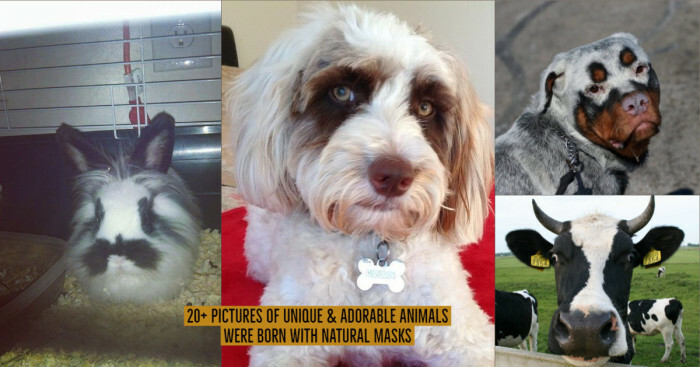 So, let’s know about the beautiful owl breeds that you would want to pet. 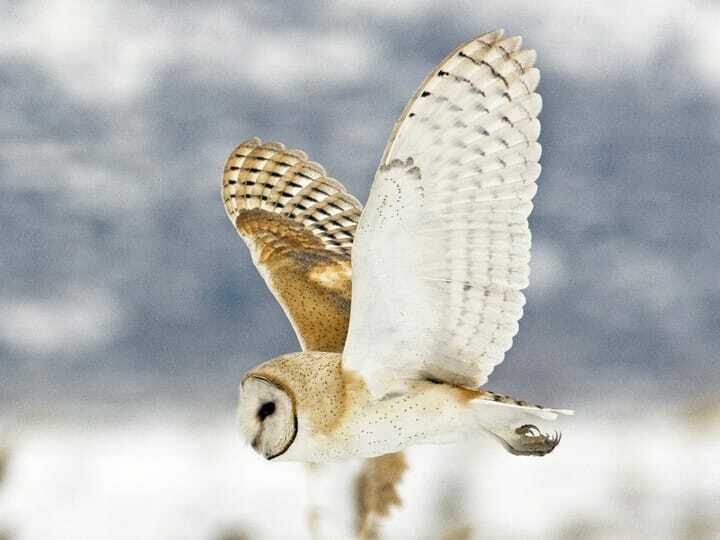 Barn Owl is the most common owl species of all birds. These medium-sized barn owls have short tails that combine with a lopping flight and gives them a unique style of flight, their head is smoothly rounded and have cute heart shaped face. You might not know but these barn owls have more than 22 names including death owl, ghost owl, and others. Majorly found in Southeast Asia, oriental bay owls have short rounded wings, short-tailed, chunky and possess heart shaped disc. 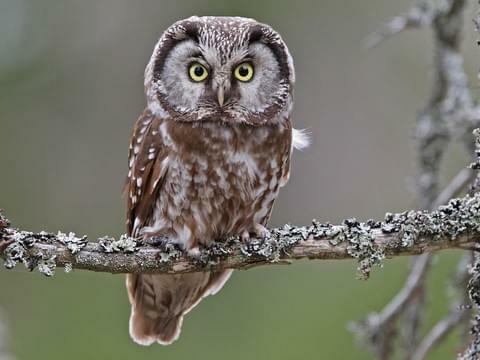 The underparts of this cute little owl are vivid, yellowish brown and speckled with brown and buff. These kind of owls are not alert and can be easily approached. Snowy Owl as the name suggests, are found in the Arctic tundra of Asia and Europe. 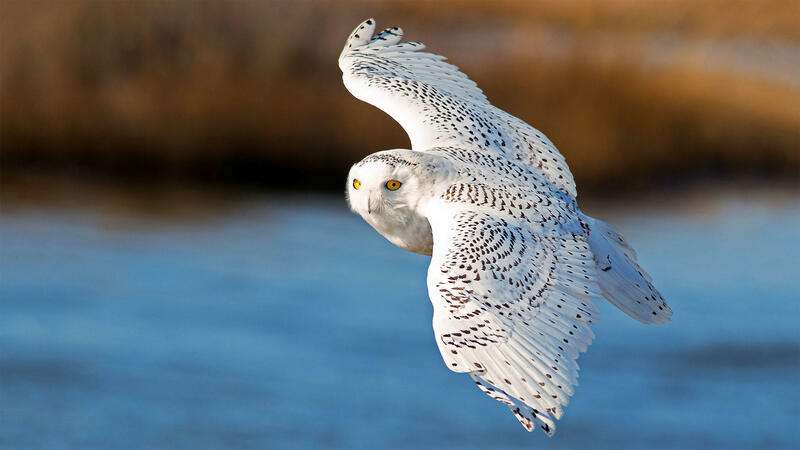 The interesting fact about Snowy Owl is it is one of the heaviest owl species ever found. Male snowy owls are almost white while female snowy owls feature black plumage. 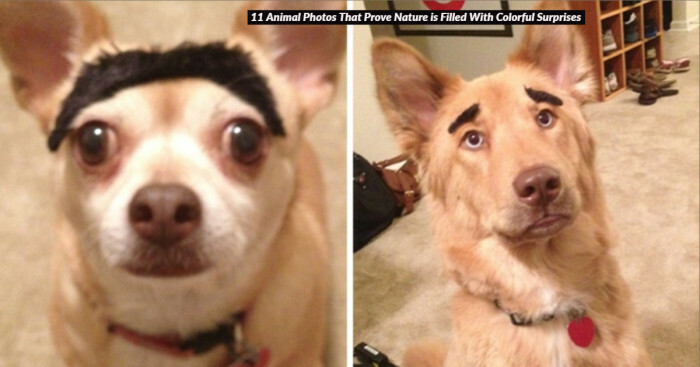 Besides this, they possess smoothly rounded heads and no ear tufts. If you live in the snowy areas, why not own this pet as your companion? Great Gray Owl hunts during the night and during the day times, these kinds of owls listen carefully for small mammals, walking or crawling under the snow. 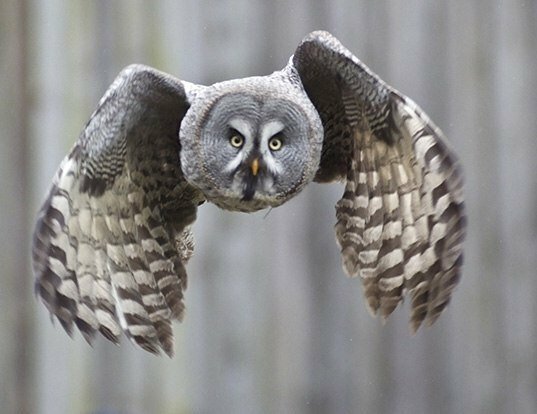 Great Gray Owl features grey face, yellow eyes and dark circles around them. They also have the largest facial disc and highlights bow tie below the beak. Well, if you are thinking that all owls reside on trees, then let me tell you the burrowing owls are the only kind of the owl species that take up their residence as in ground squirrel or prairie dog burrows. They remain active during the day but usually avoid the midday heat. They have longer legs helping them to fly and run easily when hunting. 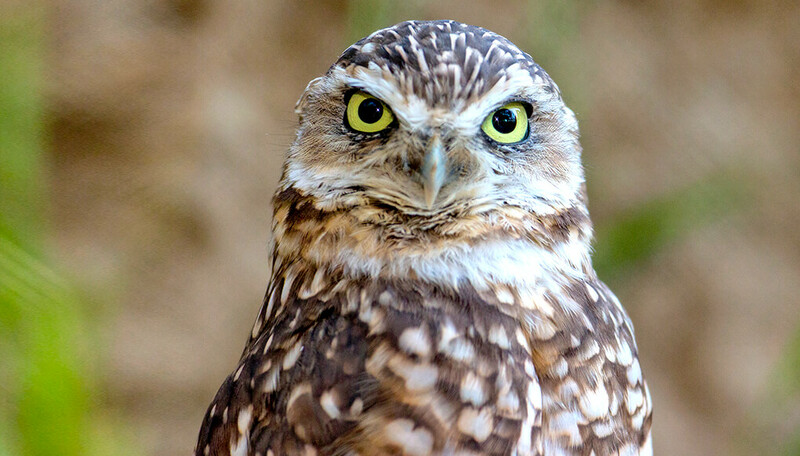 Burrowing owl lives in treeless areas, sparse vegetation, and on the gently sloping terrain. Tawny Fish Owl is another kind of beautiful owl breeds that you can own as a pet. 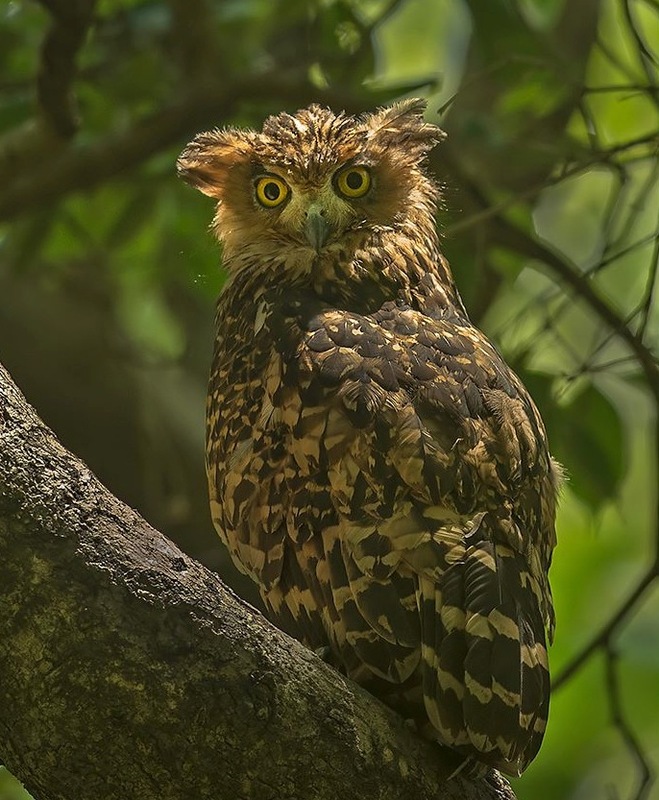 Found in temperate forests in Bhutan, China, India, Nepal and Vietnam, the tawny fish owl has large ear tufts, and are tousled looking. They have been described as the most attractive fish owls. The tail feathers of the owl are usually buffish and dark brown in color. 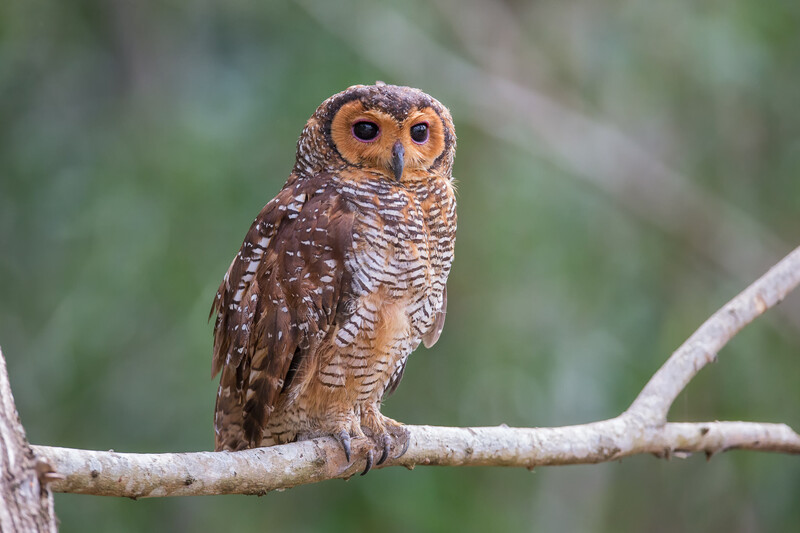 Spotted Wood Owl is a medium-sized owl with no ear tufts and dark eyes. The head of these kinds of owls is chocolate brown with a golden base and black edges. They are usually 44-48 cm long and mainly feed on mice, rats, and large insects. 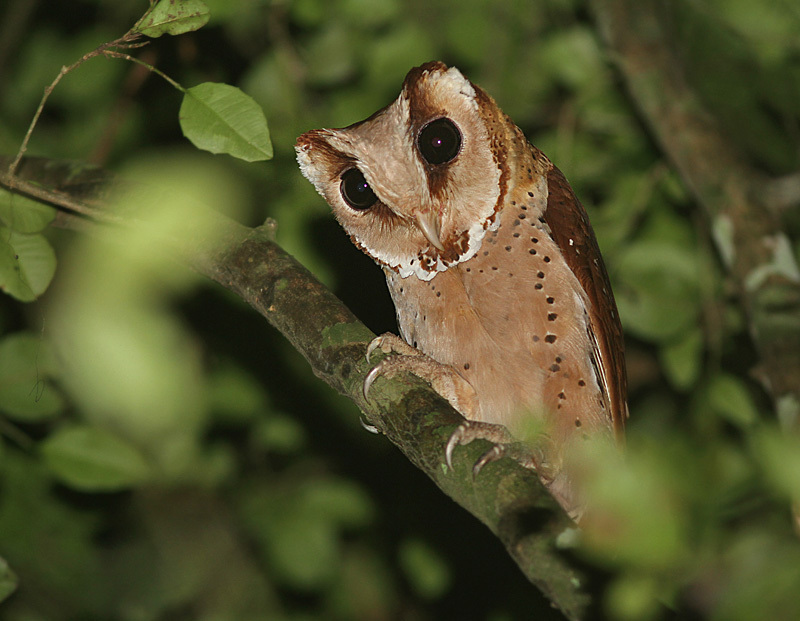 Spotted Wood Owl is found in Calamian Islands, Central Sumatra, Cambodia, Southern Burma and Western Philippines. Striped Owl is another beautiful owl that you can own as a pet. 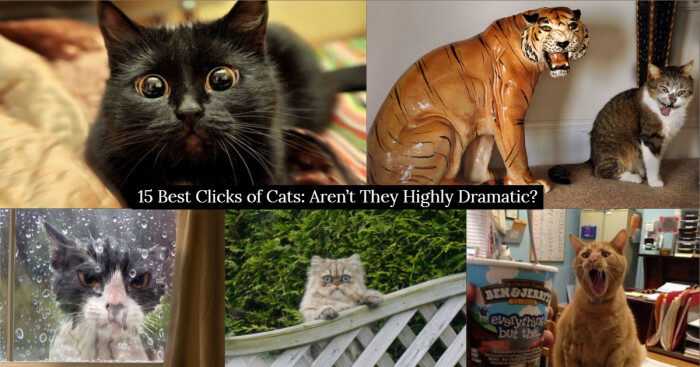 These beautiful species cannot be spotted easily as the exact distribution of the species is not known. The beak of this owl is black and has cinnamon-colored eyes. The underparts of the owl have dusky streaks and are majorly found in Central America and South America. 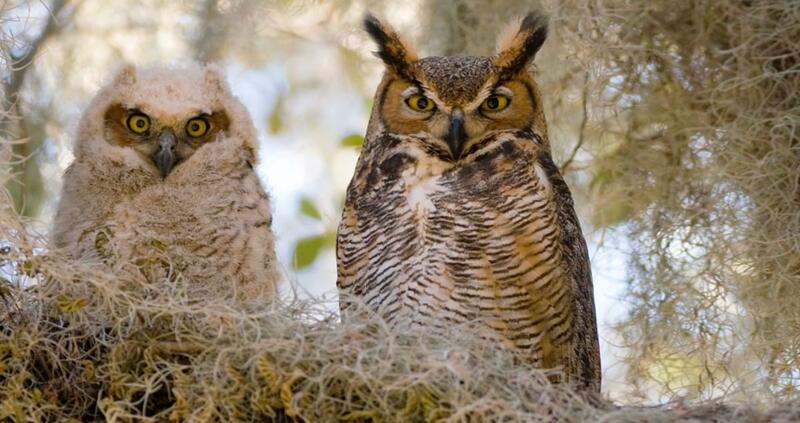 Great Horned Owls are popular and intelligent hunters. Once, they spotted their prey they instantly fly over it without making a sound. They are usually known to attack a porcupine for food.